I have used the Garnier Micellar Water numerous times as part of my daily skincare routine, and they recently released a new Milky version, and it sounds weird, but I just love skincare products that look or feel milky as I just find them really comforting. 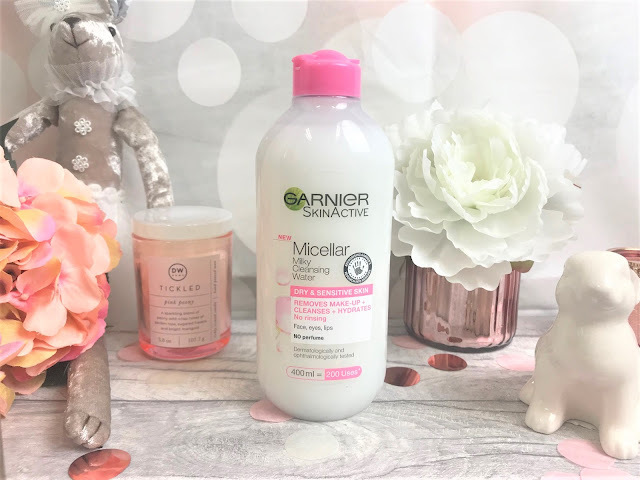 So, here is the low down on the Garnier Micellar Milky Cleansing Water. 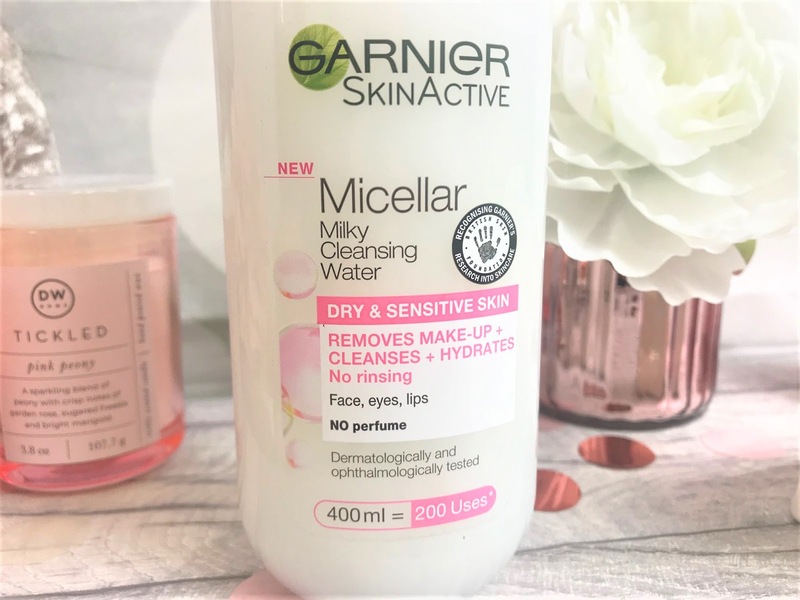 This Micellar Water is aimed at dry and sensitive skin types, which I have, so that works out well, and it removes face, eye and lip makeup quickly and easily while leaving the skin feeling hydrated and comforting. The packaging is the same as the original Micellar Water, which I think they should have switched up a little as apart from the white of the liquid, you wouldn't be able to tell a difference looking in a shop for it. Fragrance-wise, there is a slight scent there, but only from the natural ingredients and nothing offensive or anything that lingers, which is why it is great for sensitive skin. As it is classed as a Water, I did expect it to have the same water-like texture as the original, but this is thicker and more gel-like, which will be why it is more nourishing for the skin. Once applied to the skin, my skin immediately feels fresher and more hydrated, and I personally found that there was no residue left over, which is something I prefer as I don't like my skin to feel sticky after my skincare routine. This definitely does the job of removing makeup really well, and in comparison to when I use the regular Micellar Water, this one definitely makes my skin happier, as I get no sensitisation and it definitely adds that moisturisation to my skin which is very much needed. The 400ml bottle costs £5.99 and is available in-store and online at retailers such as Boots.